Ease, style and tremendous performance! 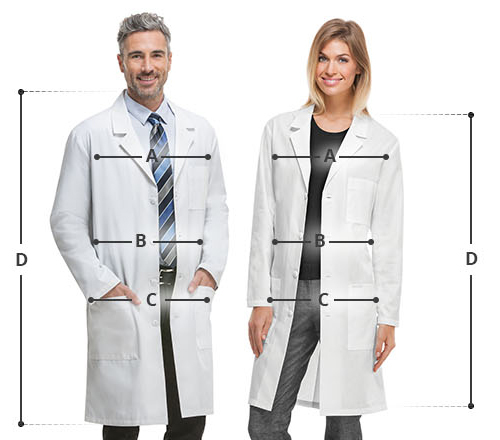 META Labwear brings unisex 40-inch colored lab coat for an exclusive look. The four-button closure with two-piece swing belt provides ease of wear while the three outside and one inside pocket deliver ample storage space for your supplies. I asked a logo for this 6116 Meta lab coat but was a little concerned about the final result. I'm impressed when I finally got the item though. It was neatly done and the thread colors were just what I had in mind. Q ) Where are the pockets Any internal pockets Like a coat breast pocket ? A ) There are three pockets in total. One on chest and other two below waistline. However there are no internal pockets. Q ) Is it flame retardant ? A ) It is not flame retardant neither flame resistant. Safety measures to be taken seriously in any case. Q ) Do the color match with other brand colors ? Q ) Do the color fades fast ? A ) No the scrubs do not fade till several washes. Just used take care while washing with cold water and tumble dry on low settings.